I have written about school traffic generation in this blog and have mentioned about the traffic congestion experiences along major thoroughfares due to the vehicles attracted by private schools. 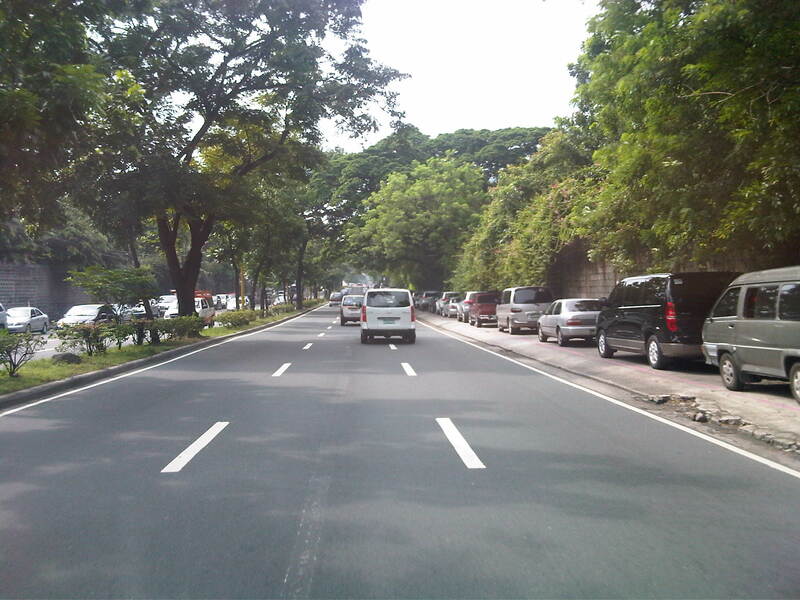 La Salle Greenhills (LSGH) is an exclusive school found along Ortigas Avenue and during the summer months of April and May, people passing through the stretch of the road from EDSA to the Greenhills Shopping Center are relieved that they won’t have to go through traffic jams due to the school-generated traffic. From June to early December and January to March, however, the area is almost always congested in the morning and afternoon. Such congestion is predictable since it occurs during a period when students come to school and when they are dismissed mid-day or in the afternoon. 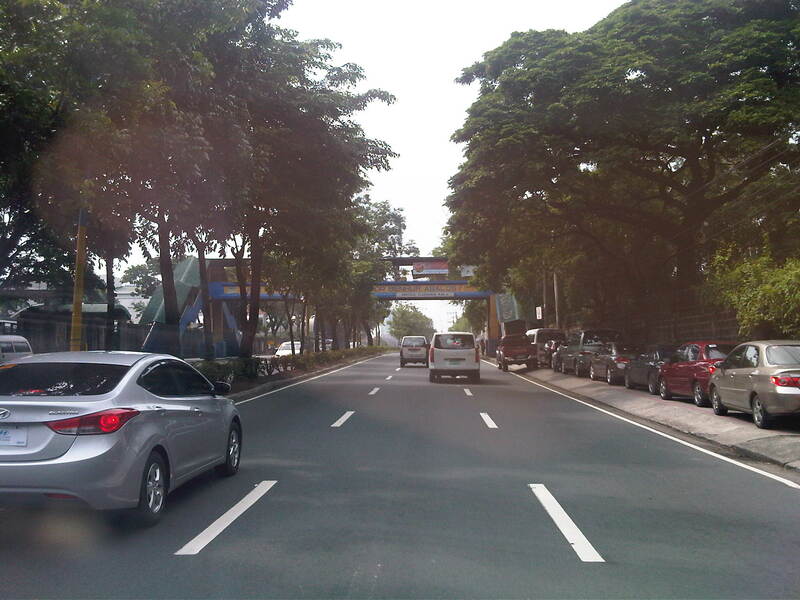 Heading to a meeting at the DOTC from the University one morning, we decided to take an alternate route. Instead of EDSA or C5, we took East Ave., Tomas Morato Ave., Gilmore Street and then emerged at the westernmost end of Ortigas in San Juan. It was already 9:00 AM when we arrived at the section most affected by the traffic generated by LSGH and so we didn’t to get caught in a jam as we proceeded towards our destination. We were proven right as traffic was almost free-flowing, and I took advantage of the traffic conditions and to take a few photos of the indicators for the potential traffic congestion in the area. The following photos also show a serious parking problem and (sadly) the usurpation of space from pedestrians. For shame! 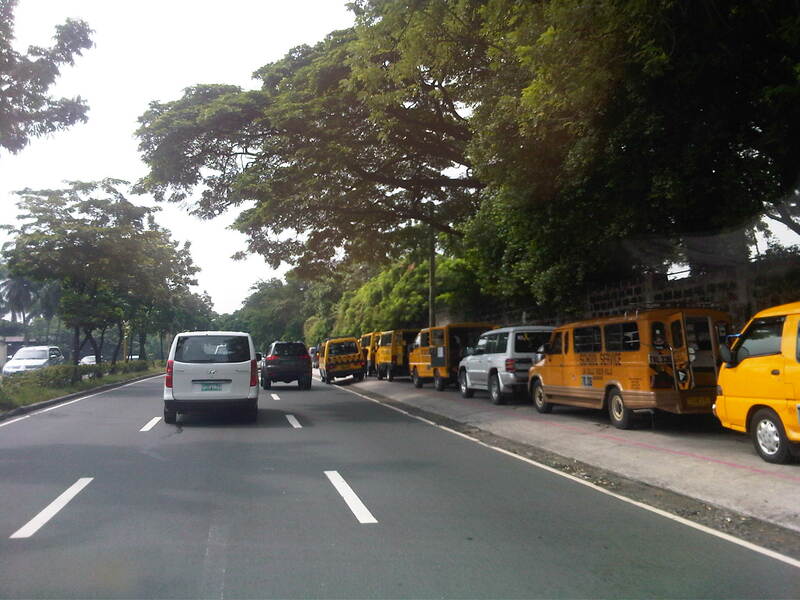 School service vehicles parked along the sidewalk along Ortigas Avenue – beyond the wall on the right is Wack-wack, a high-end residential subdivision named for the sound of golf clubs swinging at its famous course. 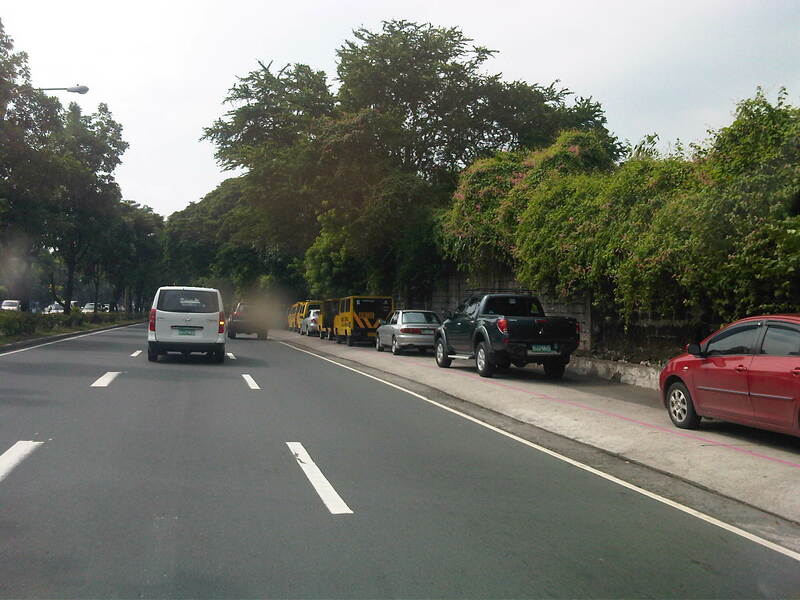 Private vehicles parked along the same sidewalk – noticeable in the photo is the pink line drawn by the MMDA to supposedly demarcate space that should not be obstructed and instead allocated for pedestrian use. It is clear in the photos that pedestrians would have to walk along the edge of the sidewalk or the outer lane of the carriageway itself, increasing the risks for them to get sideswiped by motor vehicles. More parked vehicles along Ortigas Avenue, mostly private vehicles that are highly likely owned by those studying at LSGH. It’s actually worse on the other side of Ortigas Ave. as vehicles occupy a lane of the carriageway, effectively reducing capacity along this stretch of the road. It seems the main purpose of the pedestrian overpass is to allow students to safely cross the street to get from and to their vehicles. I can only imagine the congestion caused by drop-offs and pick-ups along Ortigas Ave., which for certain times of the day functions as a driveway for the school. 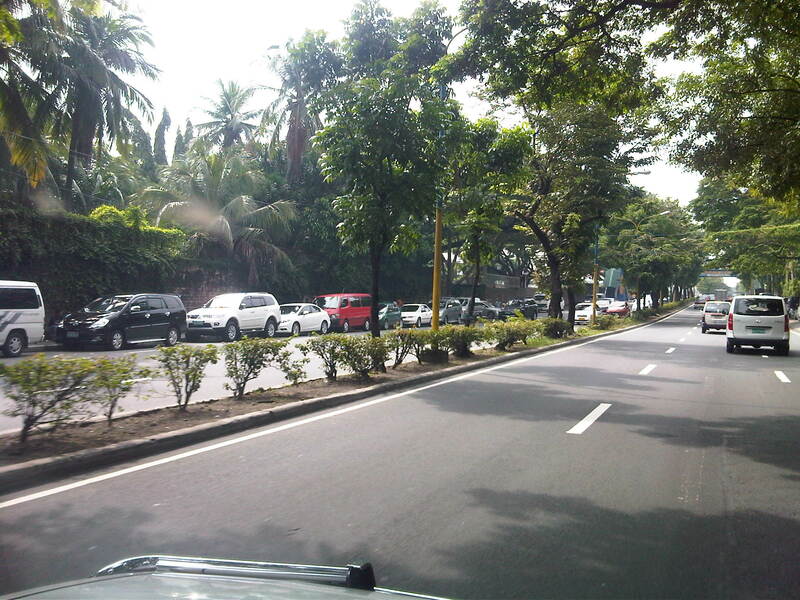 By d0ctrine in Behavior, Parking, Traffic Congestion, Traffic Management, Trip Generation, Walking on July 19, 2012 .